I am THRILLED to be designing again, and I have a super fun, easy to assemble mini album to show you! This album is designed with the “Feels Like Home” Collection from Close To My Heart. This collection is BEAUTIFUL!!! I especially love the paper that looks like a vintage tile design, it’s exactly like my kitchen floor! One of my favorite ways to make a mini album is by using brown paper lunch sacks! They’re cheap, and SO EASY to assemble, and give you LOTS of pockets for photos! 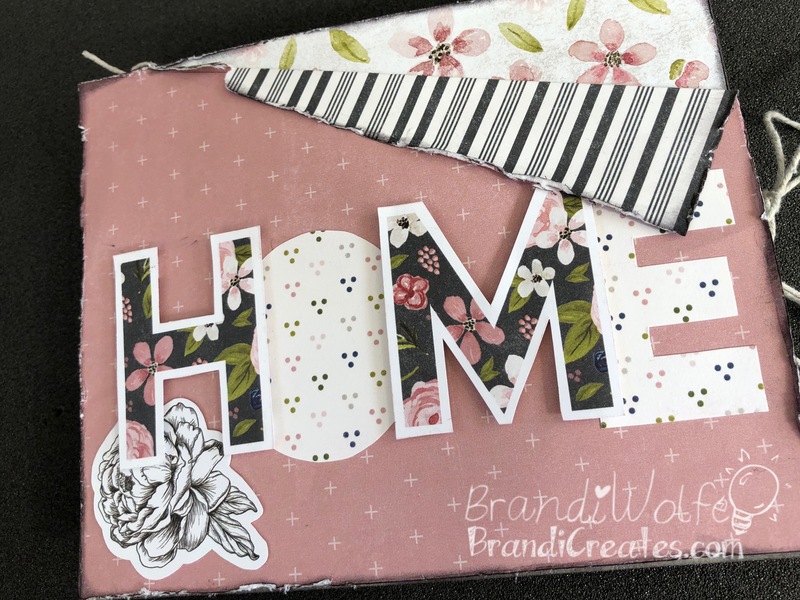 If you’ve never made a paper bag mini album, click HERE for my tutorial. This album is 12 pages with 5 large pockets for tags and photos, 2 pouches for smaller tags, and two flaps, making it fun & unique. To build this album, all you need are 5 paper bags (I use bags from the Dollar Tree, not all bags are the same size, so you may need to adjust the measurements in the cutting guide depending on your bags), a piece of kraft paper, chip board, and some really strong double sided tape. Want just the Workshop Guide? No problem! The Downloadable Workshop Guide contains detailed photos, a cutting diagram, and instructions to help you assemble your mini album. Want UNLIMITED ACCESS to my workshop guides for FREE, JOIN MY TEAM!!! Becoming a Close to My Heart Consultant has blessed me more than I ever could have imagined, from the new friends that I have made, to the resources I have received (yup, its time for a bigger craft room! ), and the abundance of support I receive from my CTMH Family! Won’t you join me in this incredible adventure?! ?